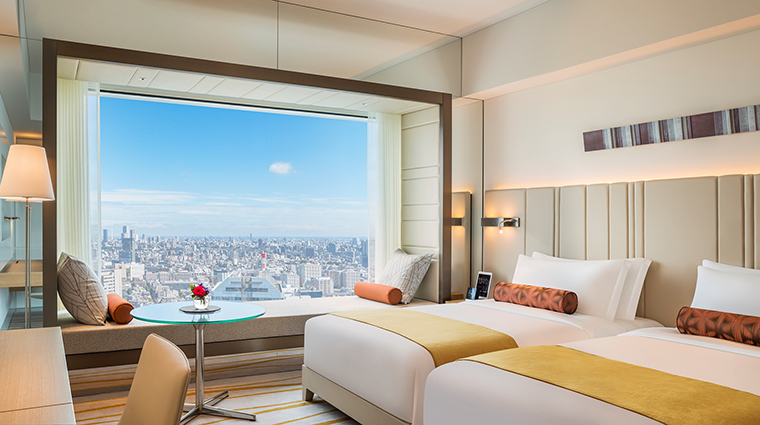 The Prince Gallery Tokyo Kioicho, A Luxury Collection Hotel is a sparkling newcomer to the city. 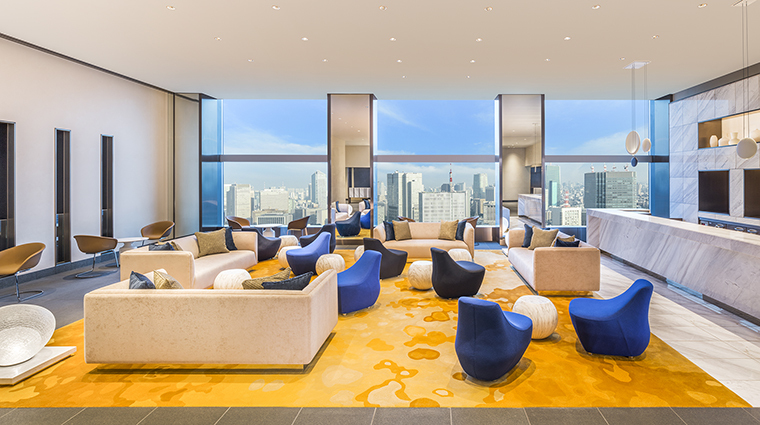 Opened in July 2016, this elegant hotel occupies the top seven floors of the 36-story Kioi Tower in the heart of the upscale Kioicho district. 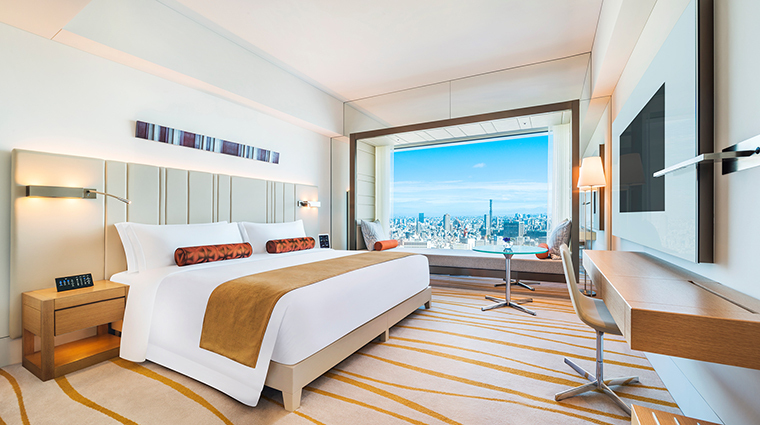 It is the first Luxury Collection Hotel to open in Tokyo. Architecture and design practice Rockwell Group in Madrid was inspired by the concept of levitation and the city’s kaleidoscopic views for the hotel’s interior spaces. 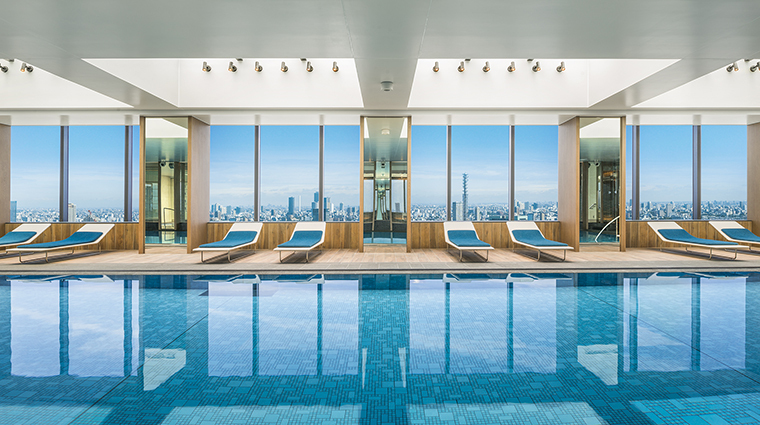 Throughout the Prince Gallery — in private rooms, two restaurants, one bar, the spa and fitness center — you are treated to stunning vistas of urban Tokyo, framed beautifully through immense windows, artfully achieving the sense of floating above the city. 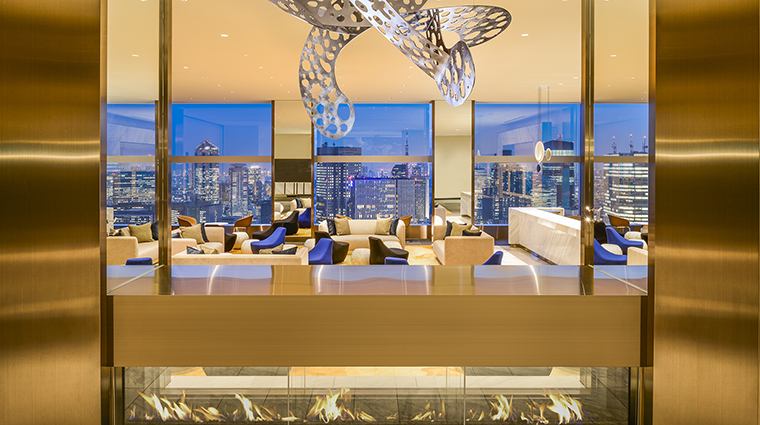 The contemporary design uses Japanese artwork, signature furniture pieces and luxury materials to create warm, inviting spaces where you can take in the cityscapes. During the 17th- and 18th-century Edo period of Japan, Kioicho was home to picturesque estates for Japan’s elite Kii, Owari and Ii families. Today, you can feel echoes of their legacy in the neighborhood’s leafy, tree-lined streets. 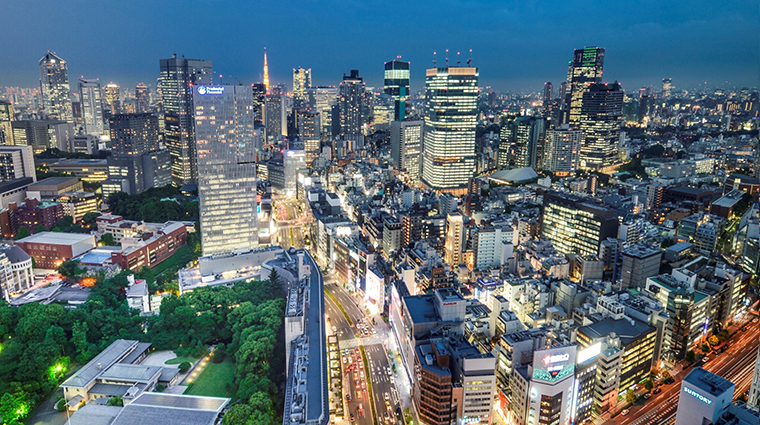 The location provides a wonderful launching point for exploring greater Tokyo. 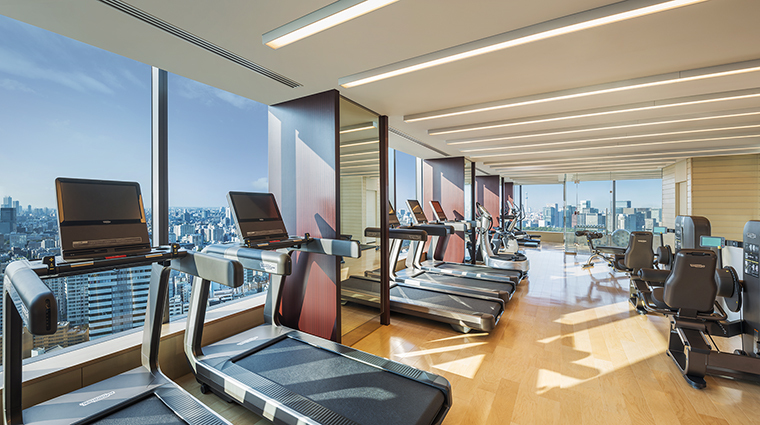 The hotel’s 36th-floor lobby provides dramatic views of Tokyo from the moment the elevator opens. We loved spying Tokyo Tower through a 30-foot-high window framed by a neon-lit glass waterfall installation by Yokohama artist Mari Noguchi. All rooms feature cozy, well-cushioned window seats. Many also include a small collection of books of Japanese culture and literature, perfect for curling up with to plan the next day’s adventures. 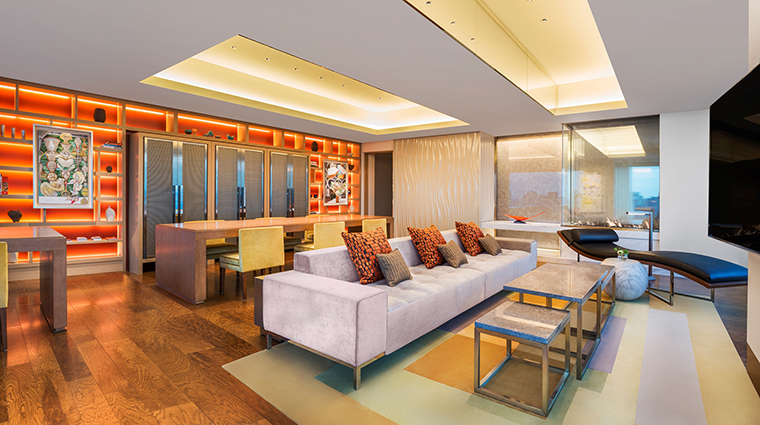 The Club Lounge is worth the splurge for Club Floor, Grand Deluxe or Suite accommodations. 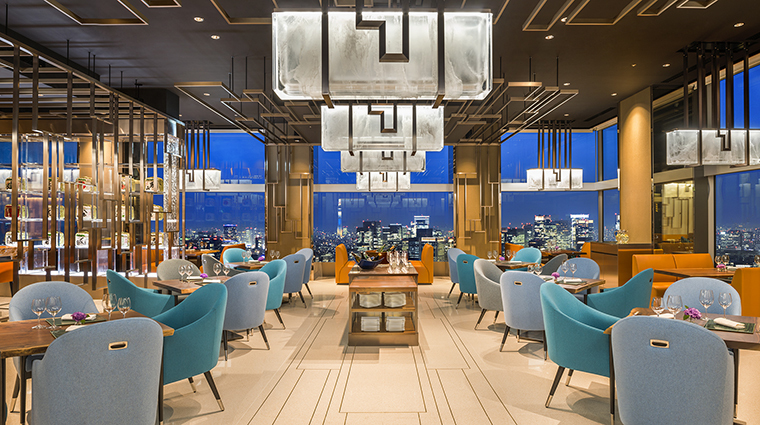 The exclusive 34th-floor lounge provides a relaxed atmosphere to enjoy Japanese sweets, French pastries, coffee or wine. This property’s attention to detail extends even to smell. A signature scent, Hinoki, adds a subtle whiff of Japanese cyprus inside the hotel’s elevators. East meets West in room amenities. Sip green tea brewed in a traditional Nanbu ironware Japanese teapot out of a set of exquisite bright orange cups made by LSA International, Europe’s leading handmade glassware company. The Tokyo hotel is easily accessed from either Akasaka-Mitsuke Station on the Tokyo Metro Ginza Line/Marunouchi Line or the Nagatacho Station on the Nanboku Line. For the latter, follow a tunnel from exit 9-A directly to the hotel’s elevators on the second floor of the Kioi Tower. Request your view: face east for the Imperial Palace gardens and Tokyo Skytree; west for Shinjuku Gyoen National Garden and Mt. Fuji (on a clear day); south for Tokyo Tower and the Rainbow Bridge (especially stunning at night); and north for the skyscrapers of Ikebukuro. 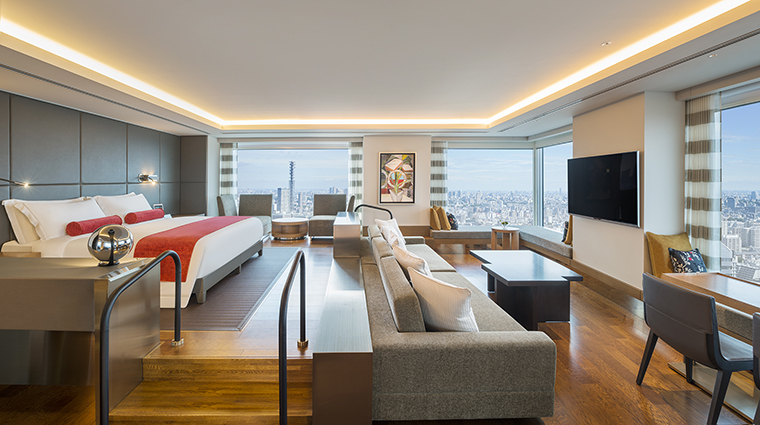 If you can’t decide, opt for a corner suite with twice the vistas. Schedule an appointment at the Spa and Fitness Kioi, which offers special anti-aging Swiss Perfection Montreux treatments. It’s the only spa in Japan affiliated with the European luxury brand. Every Friday night, the Sky Gallery Lounge Levita hosts a DJ spinning everything from house music to hits from the U.S. pop charts. 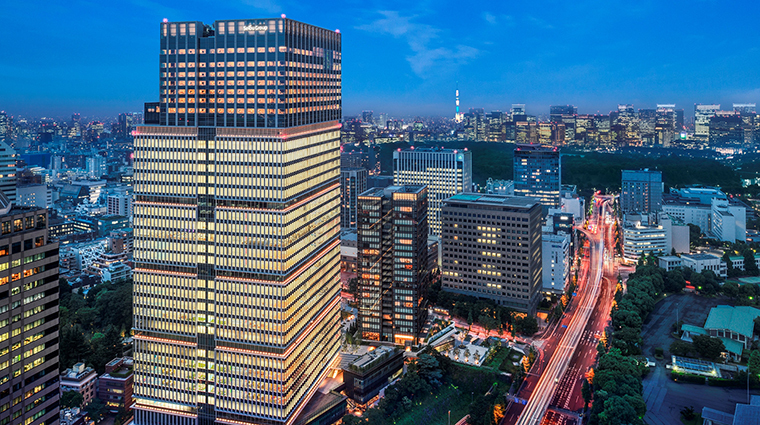 The luxury hotel’s location in Kioi Tower allows for fantastic access to the shops and restaurants of Tokyo Garden Terrace, an upscale mall in the tower’s first four floors. Every room includes an iPad programmed to control draperies, lighting and temperature with a simple tap. You can also request a massage, a newspaper or make a restaurant reservation. Stay again and you’ll find your saved preferences. 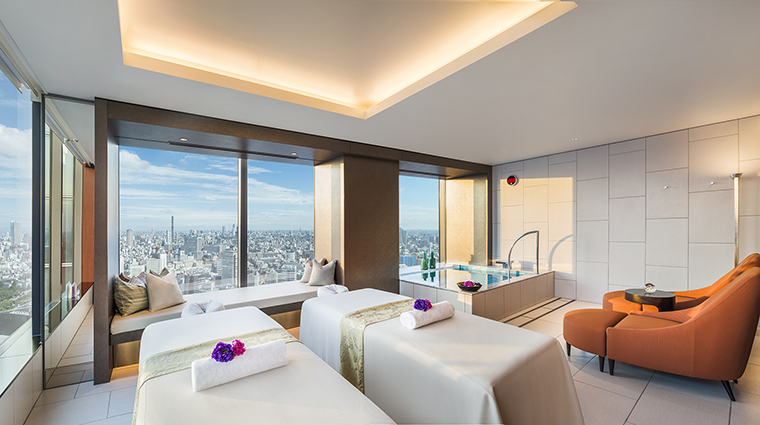 All bathrooms feature fluffy Imabari towels, tubs with views of the city and smart toilets. In rooms where the bathroom walls are glass, simply touch a button to frost them up. The key card activates the room blinds, opening them dramatically as you enter. Sleep soundly in 600-count Egyptian cotton sheets handmade by artisan Spanish textile brand Bassols. Need sleepwear? Take your pick from traditional cotton yukata in red and blue or crisp white pajamas and nightgowns. Try the Prince Gallery’s special afternoon sushi tea. 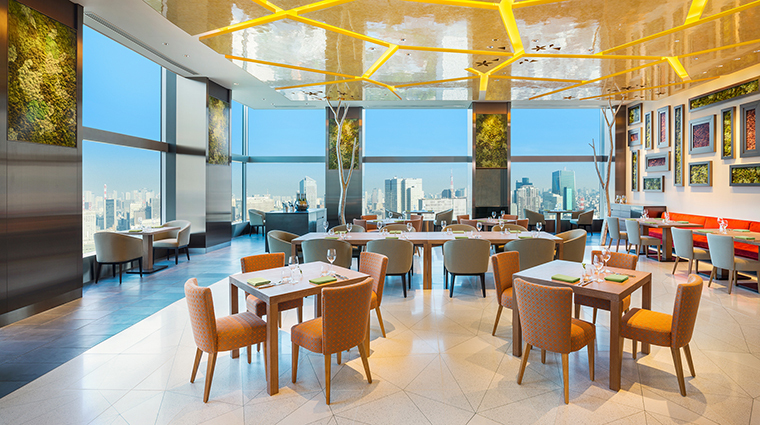 Beautifully presented on multi-tiered plates, enjoy Japan’s distinctive national cuisine at a window table inside Souten, the hotel’s Japanese restaurant, or from a plush sofa in the Sky Gallery Lounge Levita. 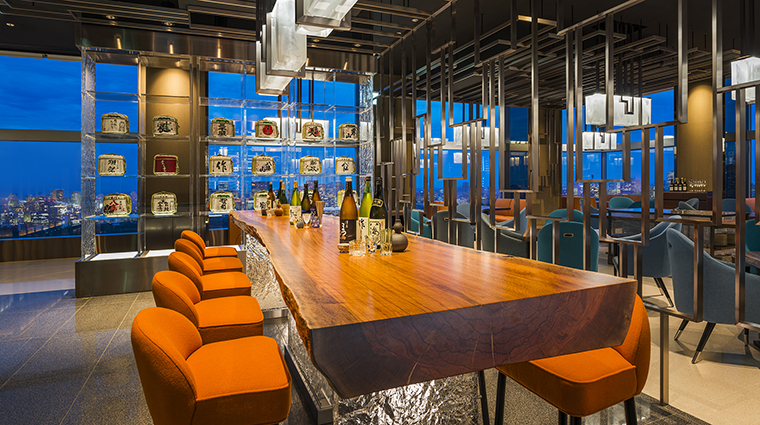 Every guest receives a ticket for a personal sake tasting at Souten’s sake bar. 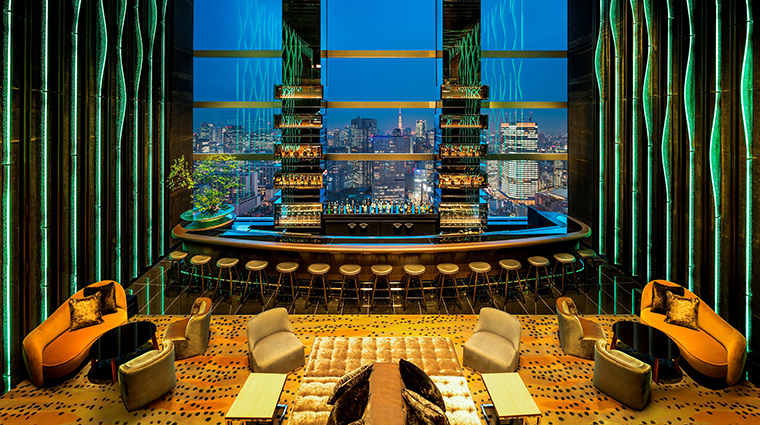 While there, try a shochu from the bar’s large collection. Step next door to the Akasaka Prince Classic House annex and savor a lunch or dinner of casual French cuisine at La Maison Kioi. 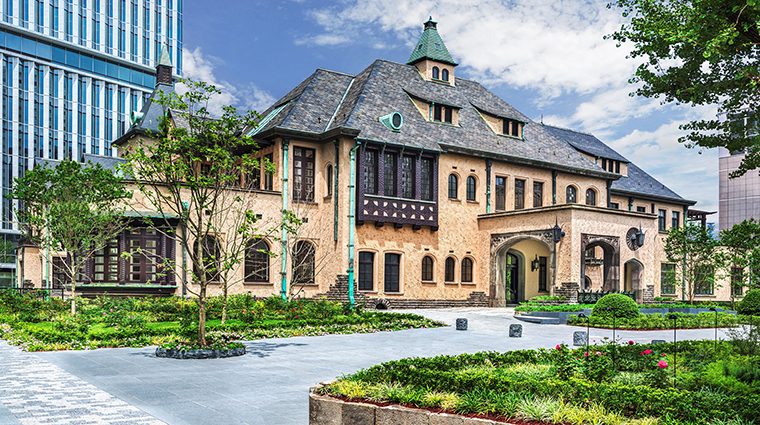 The Tudor-style building retains its original décor from the 1930s, when it was built as a residence for the last crown prince of Korea. 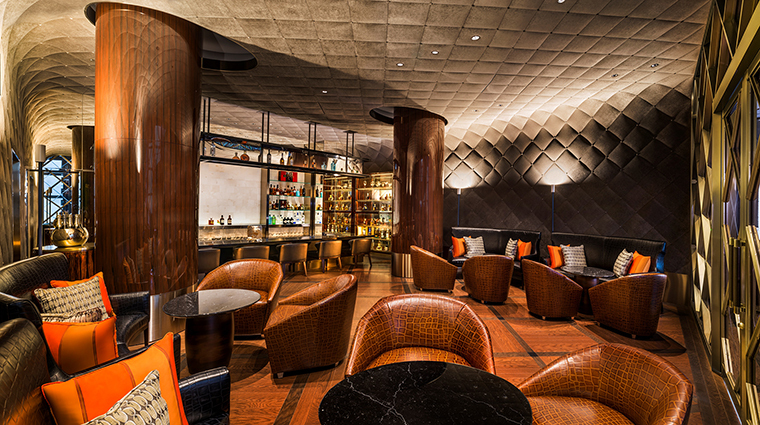 End your day at the Kioicho hotel bar Illumiid and soak in the venue’s cool, shadowy, speakeasy vibe. The extensive whisky selection includes a rare bottle from the Glenlivet 50-year-old Winchester Collection, one of only three found in Japan.